Three new Prowler XT models define Arctic Cat’s 2015 recreation category of side-by-side machines, sport- ing automotive-inspired bodywork and occupant-focused comfort. The newest Prowler ROVs set new stan- dards for quality, storage and ease of use. 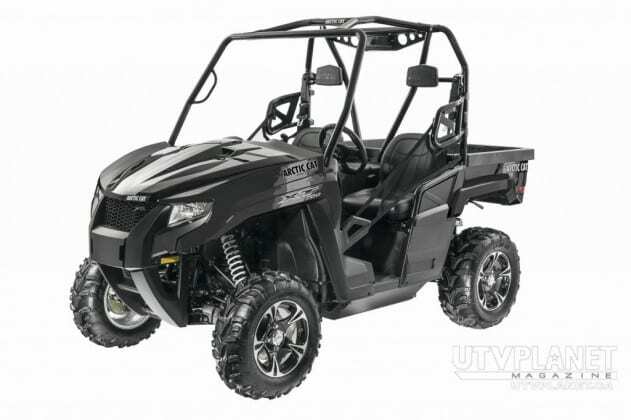 Come work, play and every- thing in-between, the all-new 2015 Arctic Cat Prowler 550 XT matches automotive-inspired comfort, quality and convenience with the hardest-working features available in a value-priced, recreational ROV. One big upgrade for 2015 is the new automotive style hood featuring a 3.0-cu.-ft. box offering 25 lbs. of payload. It’s matched by a new dash and console layout featuring a large glovebox, center cubby and dash-mounted shift lever. 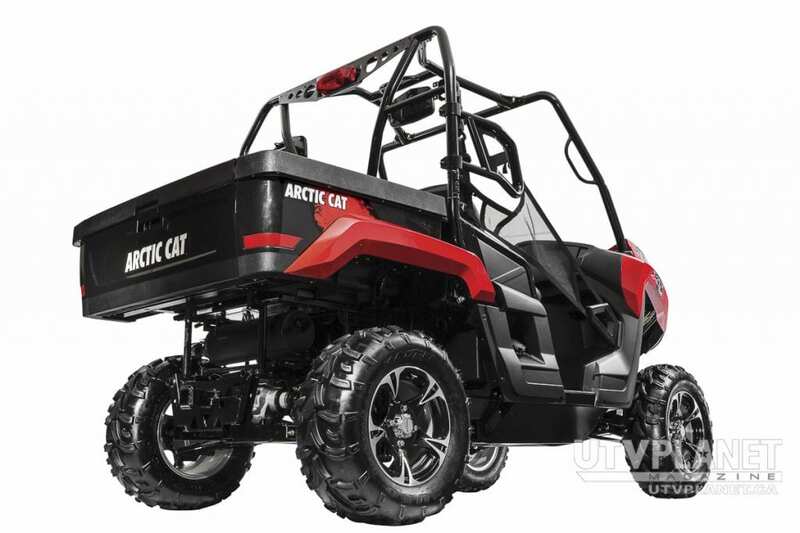 Arctic Cat made rider comfort and operational ease its primary goals for the new design, with emphasis on improved ergonomics and expanded occupant space. 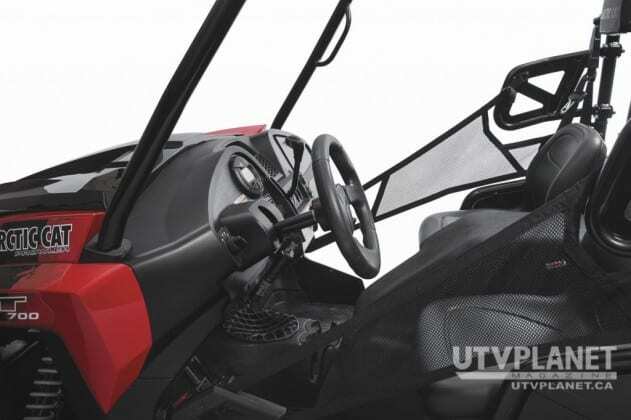 All-new shoulder and foot restraints ease vehicle entry and exit while providing 3.125 in. of additional shoulder space for both occupants. 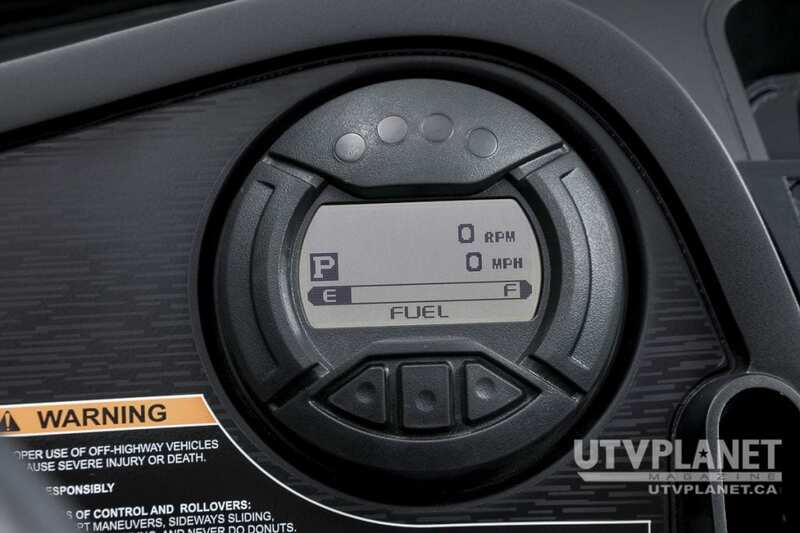 A new fully variable tilt steering wheel provides an additional 3.0 in. 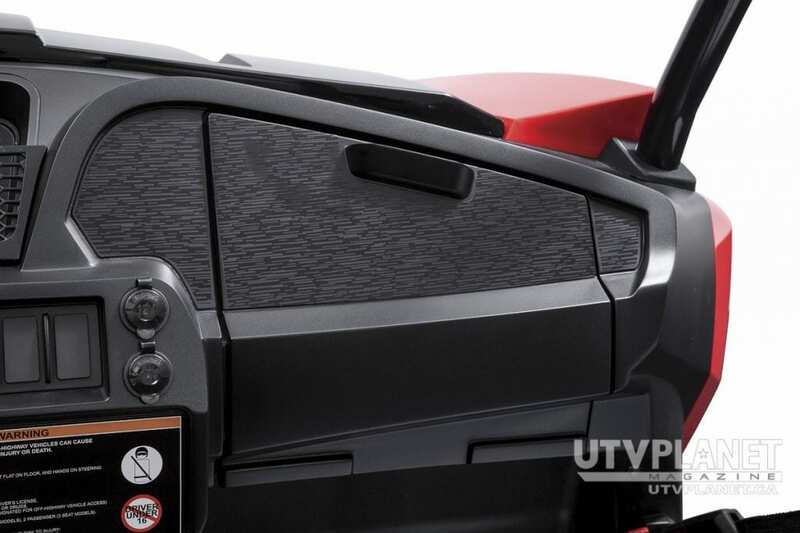 of clearance for the driver’s legs, and is matched by ergonomically friendly gas and brake pedals. 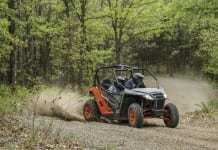 Further refinement comes via a new sound reduction system on the clutch system and softer suspension calibration. A sporty, liquid-cooled H1 545cc 4-stroke engine with the spot-on calibration of Electronic Fuel Injection powers the Power 550 XT. A new closed-loop system provides increased performance and mileage. 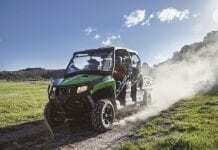 That power transfers through the Duramatic Automatic transmission, with a front locking 4WD differential. The chassis features a ROPS- certified and Wildcat-inspired round tube canopy. The rugged, composite tilting cargo box pro- vides 600 lbs. 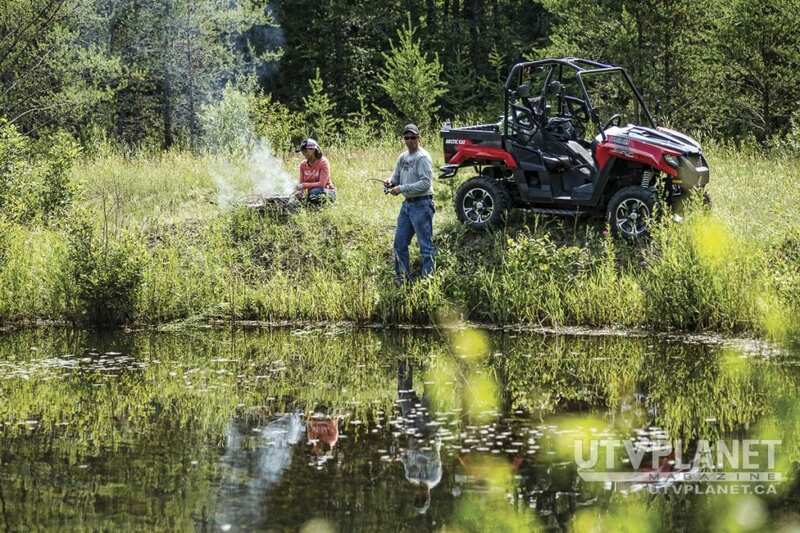 of payload capacity, with a pickup-style tailgate that’s built to handle work and play. 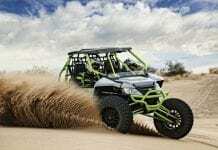 The chassis features fully independent, double A-arm front and rear suspensions boasting 10 inches of travel, 10 inches of ground clearance, and a rear-mounted sway- bar for enhanced ride quality. Arctic Cat hits a new level of ROV performance with automotive-inspired styling and rider comfort on the 2015 Arctic Cat Prowler 700 XT EPS. 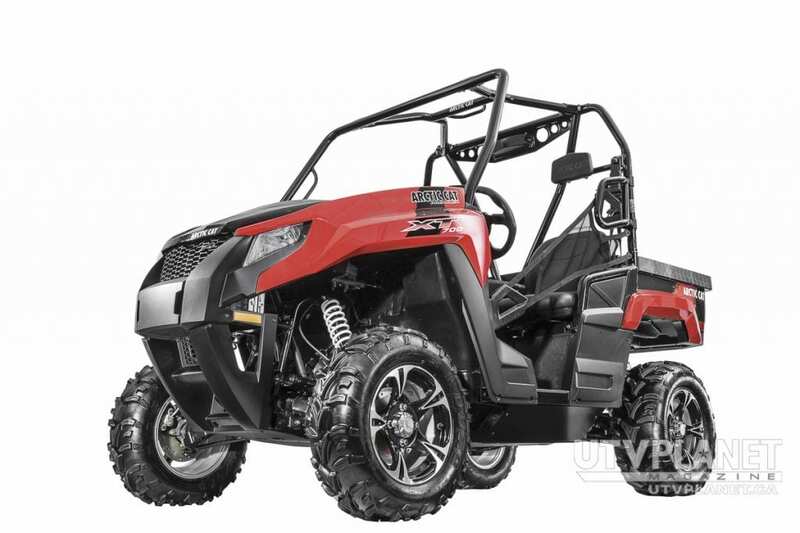 This do-every thing machine matches all-new body styling and rider-friendly features with a proven chassis and engine package. The result is a smart utility side-by-side that delivers sporting fun, yet with the quality, comfort and convenience that riders expect from their cars and trucks. 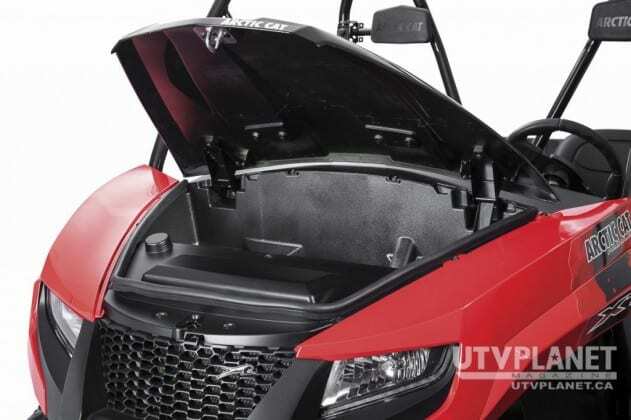 an automotive style hood with a 3.0-cu.-ft. box offering 25 lbs. of payload that’s more usable and accessible than previous designs. It’s complemented by a new dash and console layout featuring a large glovebox, center cubby and dash-mounted shift lever. And it’s topped with a new LED/halogen headlight system that provides improved lighting options. 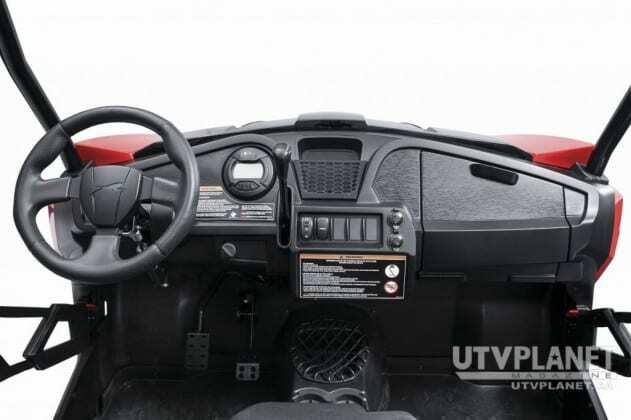 a new fully variable tilt steering wheel that provides an additional 3.0 in. of usable clearance for the driver’s legs, plus more ergonomically friendly gas and brake pedals. 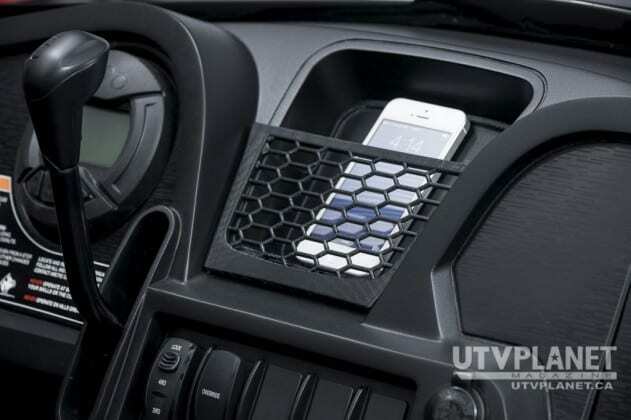 Vehicle entry and exit have never been so easy and comfort- able, with an equal improvement in driving comfort. 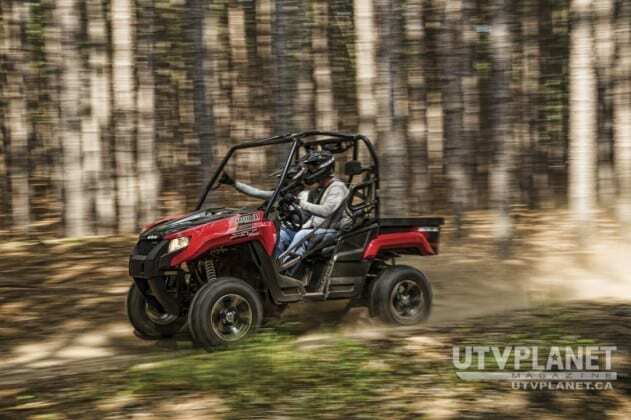 A new sound reduction system on the clutch system and softer suspension calibration further contribute to the Prowler’s over- all improvement in comfort. 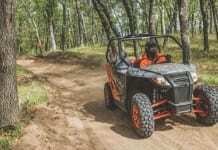 These new features are matched by driver-friendly Variable Assist Electronic Power Steering (EPS) that begins at engine idle to provide significantly reduced steering effort when in 4WD, especially when the differential lock is engaged. Arctic Cat EPS reduces the torque necessary to steer the Prowler when changing direction with a loaded cargo box or navigating tough obstacles like rocks, deep mud or logs. The result is a light steering input effort, but with enough feedback so the driver senses the tire contact patch in relation to the terrain. and mileage. That power transfers through the Duramatic Automatic transmission, which features High/Low/Reverse/Park and dynamic engine breaking. 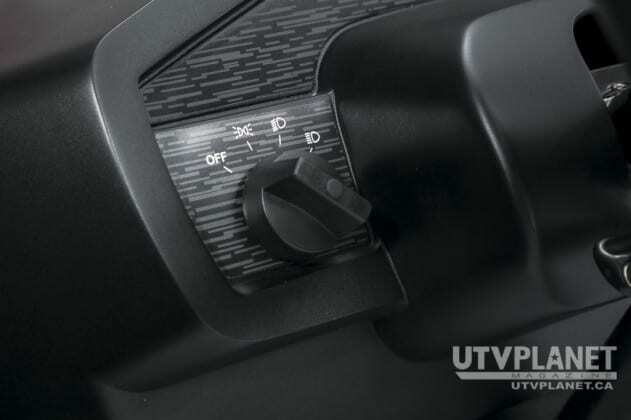 The front locking 4WD differential is activated with an all-in-one 2WD/4WD/Differential rocker switch button for quick and simple shifts. The chassis features a ROPS- certified and Wildcat-inspired round tube canopy. Out back, a rugged, composite tilting cargo box offers 600 lbs. of payload capacity and a pickup-style tailgate that’s built to handle work and play. 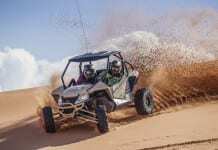 The chassis features fully- independent, double A-arm front and rear suspensions boasting 10 in. of travel, 10 in. of ground clearance, and a rear-mounted sway- bar for enhanced ride quality. 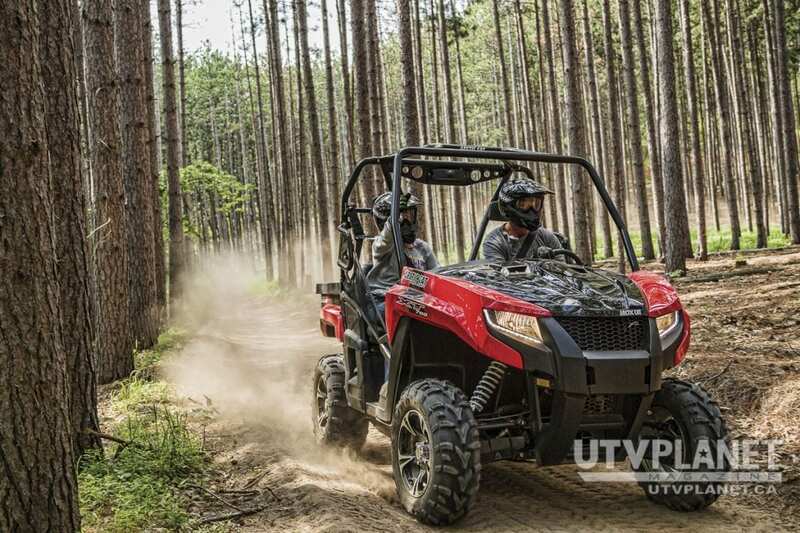 Boasting all-new, automotive- inspired features and convenience, the 2015 Arctic Cat Prowler 1000 XT EPS steps up when other machines step aside. 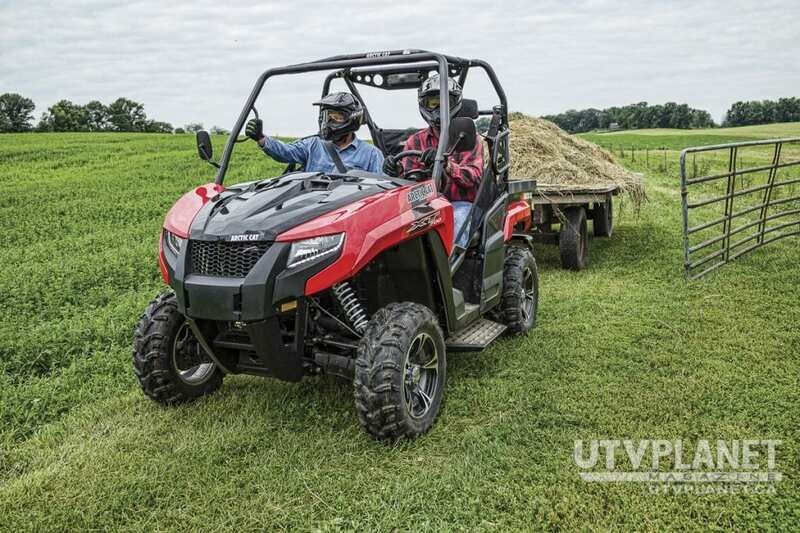 It’s the ultimate in side-by-side power, performance and passenger com- fort, with new-for-2015 bodywork and rider-friendly engineering. a new dash and console layout featuring a large glovebox, center cubby and dash-mounted shift le- ver. The whole design is accented with a new LED/halogen headlight system that provides improved lighting options and pioneering style points. 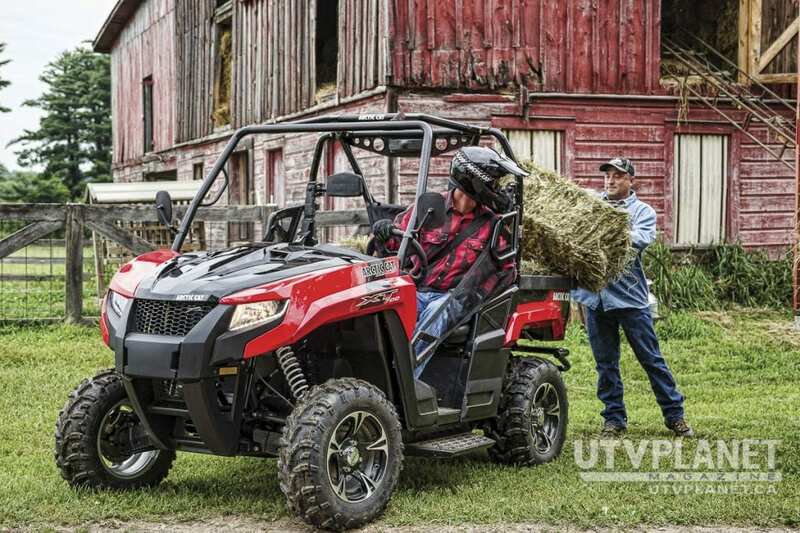 With improved occupant comfort a primary goal for the redesigned Prowler XT line, Arctic Cat delivered enriched ergonomics and expanded occupant space throughout the machine. All-new low-profile shoulder and foot restraints ease vehicle entry and exit while providing 3.125 in. of additional shoulder space for both occupants. 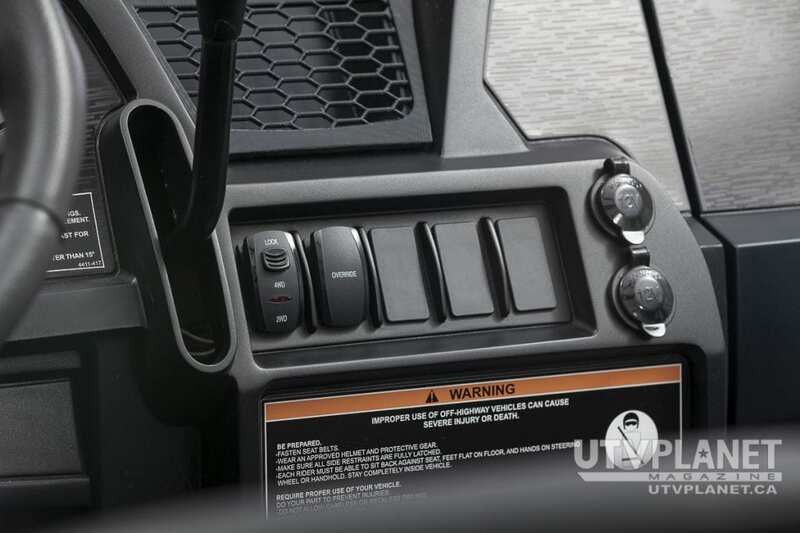 A new fully variable tilt steering wheel provides an additional 3.0 in. 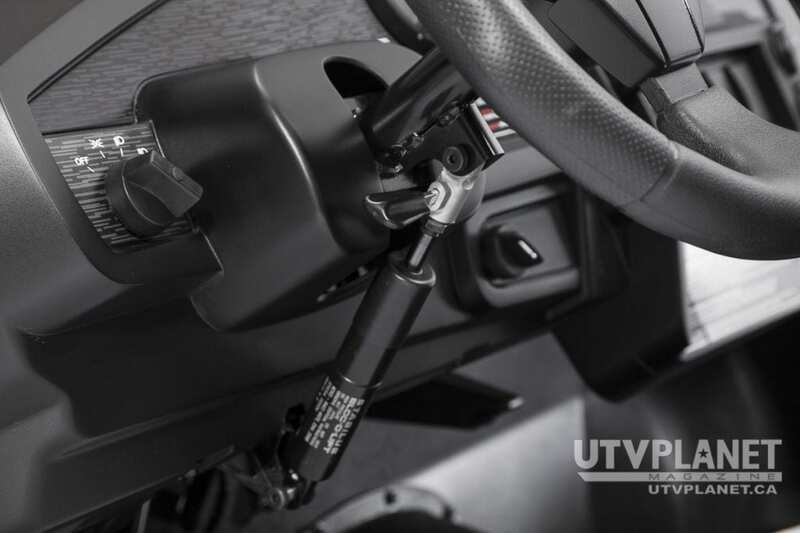 of usable clearance for the driver’s legs, while more ergonomically friendly gas and brake pedals enhance driving comfort. is activated with an all-in-one 2WD/4WD/Differential rocker switch button for quick and simple shifts. it’s with a cargo box loaded with 600 lbs. 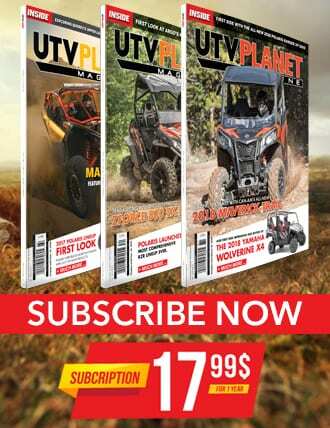 of rock, plowing snow or navigating tough obstacles like rocks, deep mud or logs. The result is a light steering input effort, but with enough feedback so the driver senses the tire contact patch in relation to the terrain. arm front and rear suspensions boasting 10 in. of travel, 10 in. of ground clearance, and a rear- mounted swaybar for enhanced ride quality. A rugged, composite tilting cargo box offering 600 lbs. of payload capacity and a pickup- style tailgate backs up a ROPS-certified and Wildcat-inspired round tube canopy.